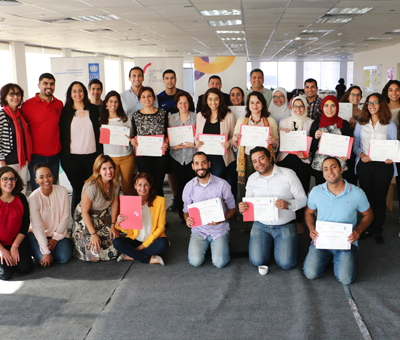 Twenty-five Egyptian social entrepreneurs concluded a five-day social entrepreneurship boot camp in Cairo on Thursday, May 7. Organized and conducted by Entrepreneurship with Impact Ventures (EWIV), a subsidiary of Ahead of the Curve founded in partnership with regional social initiative Silatech, the Cairo boot camp is the first in a series of five fully immersive training sessions to take place over the coming months in Egypt, Jordan, Saudi Arabia, the United Arab Emirates and Lebanon. The local host for the Cairo training was UNDP Egypt. The series of five boot camps is designed to create a regional network of social entrepreneurs who are inspired, empowered and equipped to build sustainable social businesses. Participants gain market and industry knowledge, design tools, an understanding of how to go to market, and access to other social entrepreneurs as well as leading experts and investors. While traditional entrepreneurs usually measure success in terms of profit and return, “social entrepreneurs” apply an entrepreneurial approach to solving social problems. Most “social enterprises” pursue a specific mission to benefit society, while ensuring their sustainability by generating revenue through products and services. Entrepreneurship with Impact Ventures is a social initiative that supports the creation and growth of social and inclusive business models across the Middle East and other growth markets. Founding members Silatech and Ahead of the Curve launched EWI in June 2014 to provide financial and technical support to existing and idea stage social enterprises, as well as large businesses that are willing to connect low-income and underserved communities in rural and semi-urban areas (”base of the pyramid”) to the core business of large national and multinational corporations, thereby creating jobs. 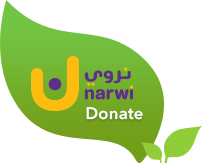 The first impact investment venture of its kind in the MENA region, EWIV provides training and incubation services as well as equity investment opportunities for the most promising businesses. EWIV has already invested in two Egypt-based social businesses: Tawseela is an innovative bus service that addresses the adverse impacts of Cairo’s traffic congestion. Tatweer is revamping the traditional Egyptian kiosk with a new concept design that optimizes the retail, advertising and communal aspects of this ubiquitous street landmark. Additional investments are being explored in Lebanon, Jordan and Morocco. In addition, EWIV includes a physical a One-Stop-Shop for inclusive businesses based in Cairo which provides advice and capacity building services to large businesses looking to develop inclusive business approaches. This facility is operated with support from the German GIZ.